Immigration has become a global issue of increasing concern in recent years, with many people fleeing their homelands in search of better futures. But the challenges these immigrants and refugees face once they begin trying to adjust to their new lives are often overlooked. Novels and memoirs that explore the immigrant experience receive more attention than short stories. The short story, however, is a perfect medium to focus on the issue of cultural assimilation. As Lynda Prescott writes in the Preface to A World of Difference, “whatever geographical distance these fictional characters travel, far or near, the tightness of the short story’s form can throw into sharp focus the effects of psychological or emotional distance.” (p. xii) In many immigrant stories we see “different worlds colliding, overlapping, or existing alongside each other” but seldom blending without conflict. In this blog I introduce four short stories among my favorites that illustrate some of the difficulties immigrants, both young and old, face when different worlds collide. 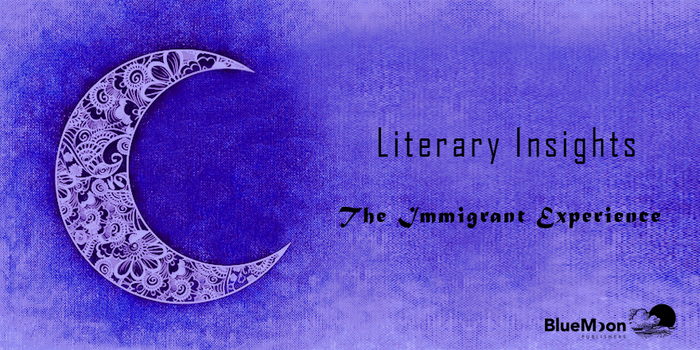 In the Writers’ Notes I offer insights into writing immigrant fiction. “Our grandchildren hate us,” confesses the Chinese narrator of this story as he begins recounting how his family’s relationship falls apart while he winces in horror as his grandchildren become more and more Americanized. The two grandchildren want “regular names” so they will fit in with their American peers (the grandson, Qigan Xi, says he is tired of everyone calling him “Chicken”) while their grandparents view names as “a matter of future and fate,” carefully chosen after consulting a fortune teller. To change your last name, the grandfather warns, is to cut a sacred bond with your ancestors. The name rift becomes symbolic of grandparents who continue to honor and practice traditional ways, even after they emigrate to the United States, and their children and grandchildren who willingly shed their native culture in favor of adopting an American identity. “Here in America, I may be a short, insignificant mutt, but in Cuba I was a German shepherd” is the punch line to one of many jokes Maximo, a Cuban immigrant and focus of this story, tells his cronies who gather in a Little Havana park each day. But it also personifies the frustration that Maximo feels living in Miami. Once a university professor who fled Cuba when Castro came to power (believing he would be able to return in 2-3 years), Maximo has now become one of the old men whom tourists come to gape at and photograph while they reminisce and play dominoes. Eventually his humiliation turns to anger as he directs the tourists to put away their cameras. Just like the mangy mutt in Maximo’s joke who is snubbed when he meets an elegant but uppity poodle, Maximo has not lost his ethnic pride. Nor has he lost his nostalgia for life in Cuba when all was “good and pure” and he lived the life of a purebred German Shepherd. The Indian narrator of this story arrives in Chicago to live with her aunt and uncle as she starts college, hoping that her childhood fantasy of marrying a “prince from a far-off magic land, where the pavements are silver and the roofs all gold” will come true. Despite the narrator’s obvious disappointments, her story ends with a hint of hopefulness that comes as she experiences her first snow. As a white blanket begins to transform the ugliness of the neighborhood and chills her hands, she begins to realize that beauty and pain are both parts of the fabric of life and that her childhood fairy tale will need to be reimagined. But your experiences in the United States are not ones to envy. Your American uncle sexually assaults you, so you are forced to move out of his house. Your job as a waitress only pays enough for you to rent a tiny room with stained carpeting. You don’t have enough money to pursue your dream of going to a community college. You are ashamed to write to your friends and family that there are no big cars or big houses in America for an immigrant like you. You often feel invisible. The “thing around your neck” inflicted by your uncle continually haunts you, especially at night. Eventually it leads you to buy a one-way ticket back to Nigeria.